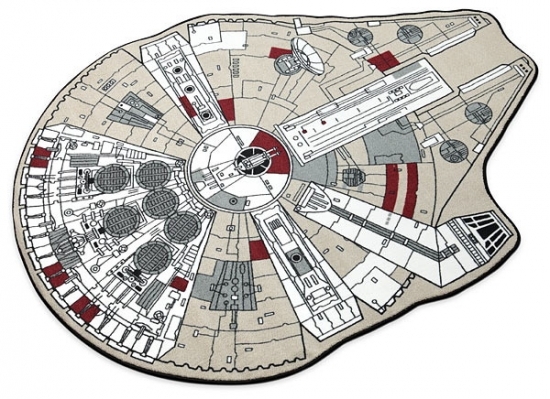 A cool rug in the shape of the Han Solo's Millennium Falcon from Star Wars. 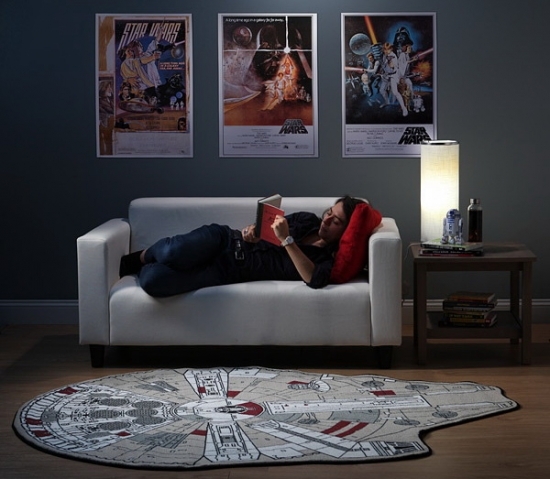 There's not a ton to say about the Millennium Falcon printed rug that you can't see in the pictures. It's a big flat millennium falcon. It looks great on your floor (or, if you diy it a bit, as a tapestry on your wall). Perhaps if you get one for Jabba, he won't want you hanging on his wall (frozen in carbonite, of course). Speaking of carbonite, if your floor is cold as carbonite, you'll most definitely want a Millennium Falcon printed rug to protect your feet (even if you have more than two).